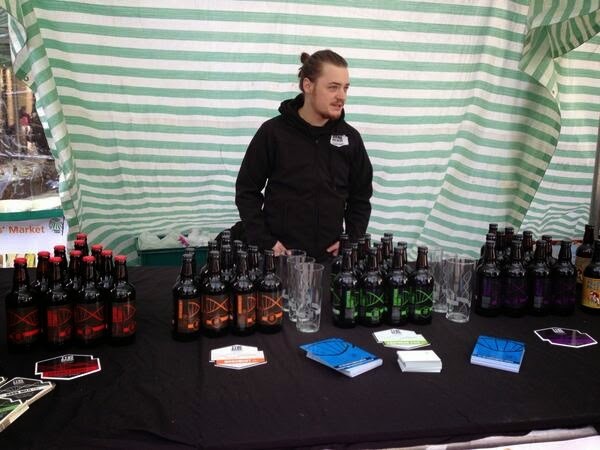 Tyne Bank Brewery: Christmas Market Stall. Tomorrow (Friday 5th) we will be holding a stall by Greys Monument as part of Newcastle Christmas Markets. We'll be selling our full bottled beer range from 3.7% Peloton Pale up to 6% Mocha Milk Stout, as well as our gift packs which make a great Christmas present. We can make gift packs up with any combination of 3 of our ales, or 2 ales and a glass. We'll also have brand new hand printed T Shirts from Ink & Toil and lovely Tyne Bank Tote bags, plenty of choice for the discerning beer lover in your life. "...home-made jams, delicious cakes and handmade chocolates. And once you’ve bought something scrumptious to eat, you can find special gifts such as scarves, leather bags, hand thrown pottery, woolly hats and jewellery." Support local businesses this Christmas and join us this Friday in the centre of Newcastle to stock up on great gifts.